A trip to Disney World is ALWAYS magical. Sometimes though, you may want to add even MORE magic! Yes, you can do that and Walt Express can help you narrow it down! 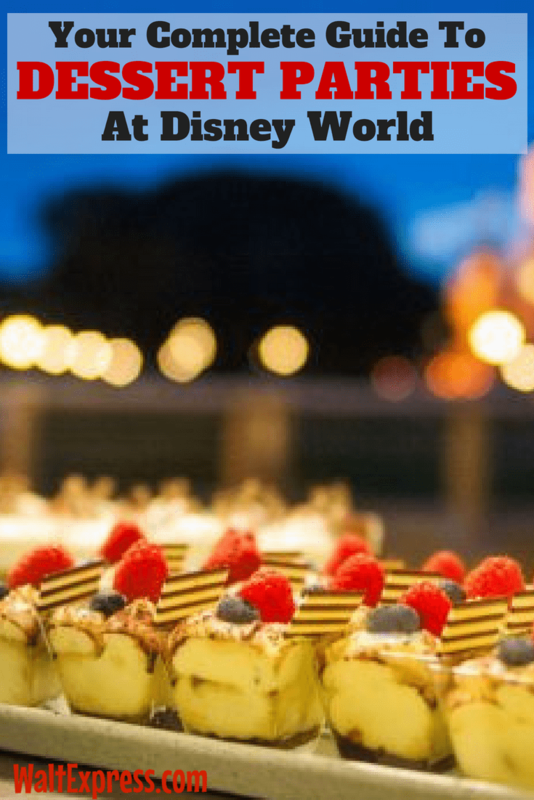 Here is Your Complete Guide To Dessert Parties At Disney World! Dessert parties are popping up in every park. 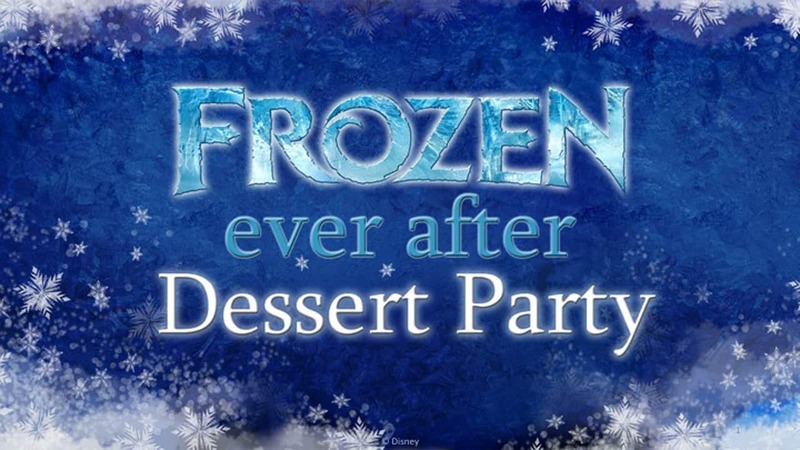 For a long time, the only dessert party offered was the one in Magic Kingdom. Now, each park has it’s own delicious party going on! These can be a great way to have a premium/preferred seating area to watch an amazing fireworks show AND dine on delicious treats! Let me just say that last part one more time: DELICIOUS TREATS! We all know Disney World is famous for their amazingly beautiful and tasty treats. This one is a little different, as it comes AFTER the fireworks show. You will still get a preferred viewing of the fireworks, you just won’t get your treats until after the show. But there’s more than just desserts! Savory snacks include cheese cubes, spinach dip with crackers, and house-made mini eggrolls. Fresh fruit is also available along with refreshing beverages such as sparkling apple juice, coffee, tea, and milk. Pricing: $69 for adults and $41 for children. 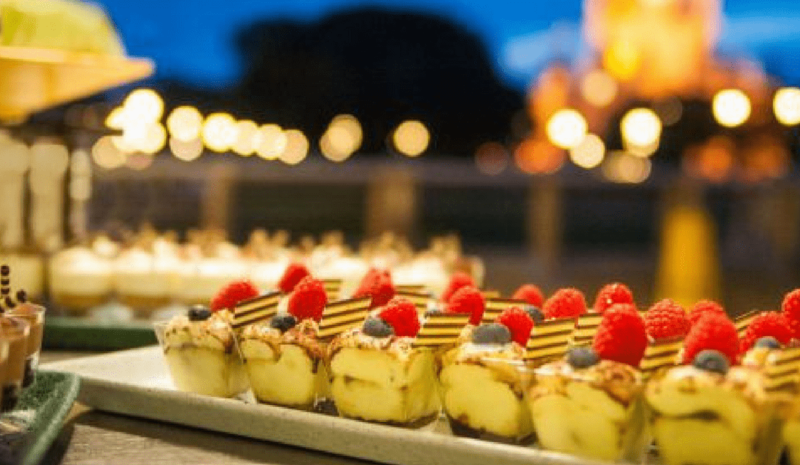 End your magical day with a celebration featuring delectable desserts and an enchanting fireworks extravaganza. First, join us at Tomorrowland Terrace Restaurant, where a tempting array of freshly prepared desserts, seasonal fruits and flavorful cheeses awaits. Pricing: $69 per adult and $41 per child (ages 3 to 9) including tax; gratuity not included or required. This one is standing room only. 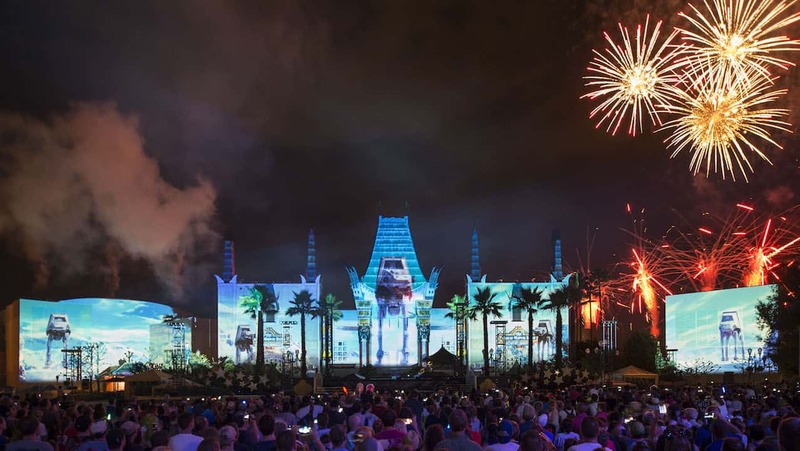 Your cast member will guide to your preferred viewing location when it’s time for the fireworks! Same party, but this one is a tad more pricier. You will have a reserved table and are allowed to view the show from your table or the Tomorrowland Terrace area. Pricing: $84 per adult and $50 per child (ages 3 to 9) including tax; gratuity not included or required. For those who are a little more adventurous, you may like the idea of cruising the Seven Seas Lagoon while enjoying a perfect view of the fireworks! For guests over the age of 21, alcoholic beverages are included. Pricing: $99 for adults and $69 for children ages 3 to 9 (tax and gratuity included), and even includes a special take-away surprise. Please Note: Ferrytale Fireworks: A Sparkling Dessert Cruise will be closed from July to mid-October 2018. New cruise dates are now available to book, beginning October 21. Pricing: $79 for guests ages 10 and above, $47 for ages 3 to 9—tax and gratuity included. Hollywood Studios has several sweet experiences available! 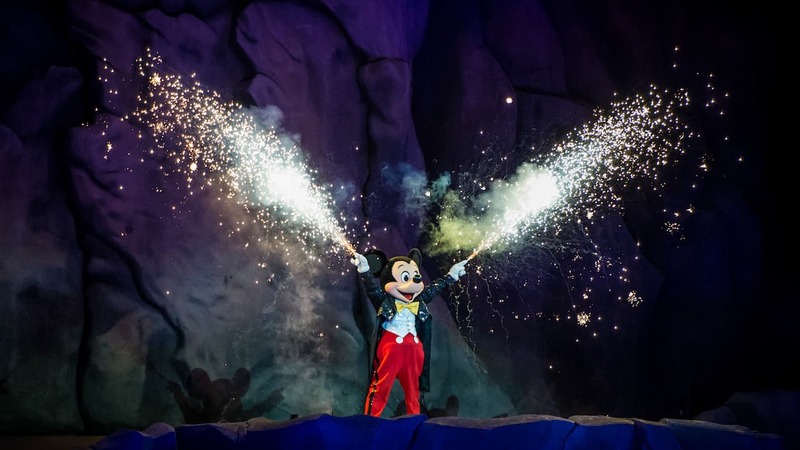 It all starts at the Fantasmic! theater where you’ll pick up your freshly prepared snacks inspired by the show. Menu items feature a variety of sweet and salty sensational treats for adults or children such as chocolate-dipped strawberries, cheese and crackers and make-your-own “worms and dirt” pudding. 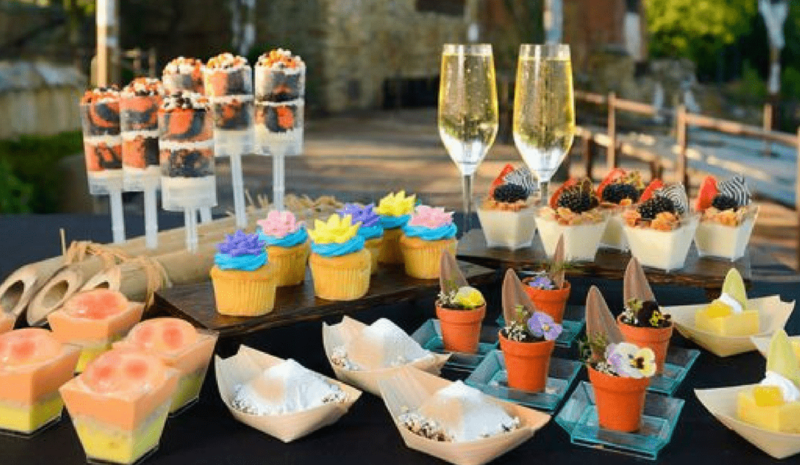 Enjoy an out-of-this-world selection of desserts and specialty drinks—including alcoholic beverage options. Nibble on such delectable treats as freeze-fried chocolate hazelnut truffles within a setting inspired by the films and surrounded by movie props inside Star Wars Launch Bay. Pricing: $79.00 per adult (age 10 and over) and $45.00 per child (age 3 to 9); tax and gratuity are included. 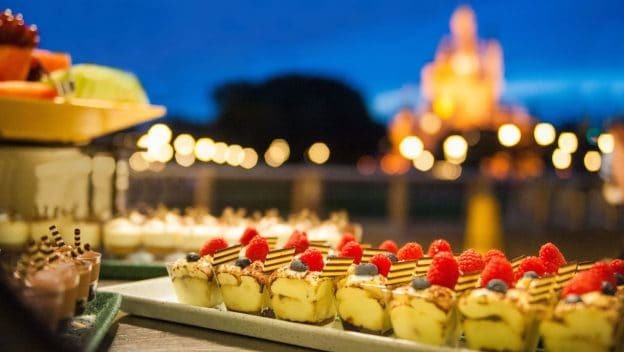 With this new dining experience, you can add a sweet ending to your day by enjoying a beautiful buffet of Disney’s Animal Kingdom-themed desserts, snacks, and drinks before enjoying VIP views of “Rivers of Light.” You’ll start by checking in 60 minutes prior to the main show (8:15 p.m. for a 9:15 p.m. show) at the Rivers of Light Asia Viewing Area Terrace located across from Expedition Everest. 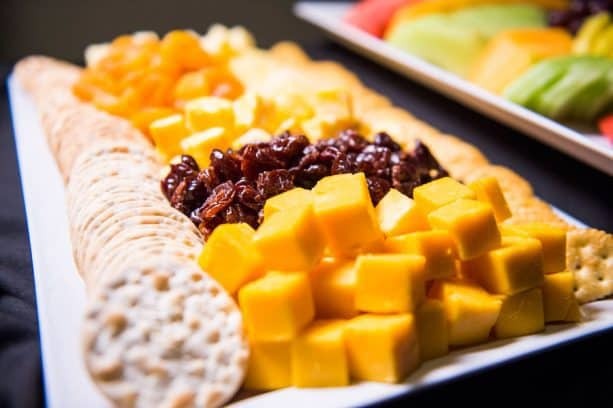 Here you’ll enjoy house-made desserts, snacks, specialty alcoholic and non-alcoholic beverages, iced tea, lemonade, and water. When the show is about to start, head down to the VIP Seating Area, where you’ll enjoy exceptional views of Rivers of Light. Pricing: $79 for adults and $47 for children (tax inclusive) and must be paid for in full at the time of booking. Guests must be at least 21 years of age or older and able to present a valid form of ID to consume alcoholic beverages. You will also find seasonal dessert parties during Mickey’s Not So Scary Halloween Party and Mickey’s Very Merry Christmas Party. Stay tuned to Walt Express for information on these as it becomes available. A valid park ticket is required for these events. For reservations, visit the Walt Disney World Website or call 407 WDW-DINE (407 939-3463). Dining credits on the Disney Dining Plan may NOT be used for these experiences. Looking for more magic? We have a wonderful Facebook Group, DISNEY EXPRESS LANE!